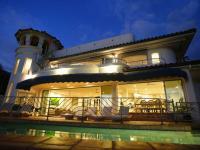 If you want to be in the center of what is hot and happening in Maui, a Lahaina vacation rental is the ideal place to call home for your stay. Situated in West Maui's primary harbor, Lahaina is the epicenter for Maui entertainment and activities with dozens of art galleries, a variety of unique shops and restaurants, and an oceanfront setting for lots of water fun. Select one of our top Lahaina rental homes and you can literally be steps away from everything in this former whaling village. Reputed as the "jewel in the crown of Maui," Lahaina is a destination that is experienced by two million people, or 83% of all Maui visitors, annually. We offer the best homes for rent in Lahaina so whether you want to scuba dive or snorkel off of Molokini or enjoy a ride on the "Sugar Cane Train," you'll find a top Lahaina rental from our vast selection of Hawaiian vacation homes. 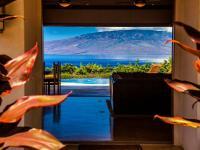 Featuring enchanting panoramic ocean vistas or majestic views of the West Maui Mountains, we have the best Lahaina homes for rent available to suit any and all your needs. Avid surfer? You'll find Lahaina condo rentals that are merely minutes from Puamana Beach Park. Golf fanatic? World-class Kaanapali Golf Course with rolling landscapes and stunning ocean views is easily accessible. Want to shop-til-you drop? We've got that covered, too, with many Lahaina houses just a short drive to the Front Sheet Shops and Galleries. Our well-equipped Lahaina beach houses in Lahaina will help you experience optimal Hawaiian style living. Best of all, we're all about location! If you don't want to drive, it's easy to walk with your kids to Launiupoko Beach. Swim, snorkel, kayak, or paddleboard at Black Rock or Baby Beach. Or, surf at "Breakwall" and "Shark Pit," fun surf spots just south of Lahaina Harbor. A vacation stay in Lahaina is not complete unless you check out Kaanapali Beach, a favorite and consistently named one of the best beaches in Maui. Here, whale watchers will spot these amazing marine mammals with their naked eye, and there are lots of opportunities to parasail, jet ski, snorkel, or enjoy a catamaran sunset cruise, all in close proximity to these Lahaina beach homes. Finally, hit Kapalua or Wailea to experience some of Hawaii's very finest beaches. Scroll through our exceptional inventory of luxurious houses in Lahaina, Hawaii and find private ranch-style homes with backyards featuring fragrant plumeria and papaya trees, or spectacular villas with panoramic 180 degree ocean views. Rent a home in Lahaina with us and find all the comforts of home from fully equipped kitchens with Sub Zero refrigerators to High Speed Internet Access to Hi-Def televisions offering all the cable channels so you won't even feel like you're not in your own house. Whether your agenda includes ziplining through the West Maui mountains, deep sea fishing at Molokini, day-tripping to the summit of Haleakala Volcano, or eating from the wide assortment of delicious dining choices from Italian, Mexican, Thai to Hawaiian regional cuisine, Lahaina and our top house rentals await you. 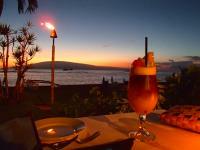 With a multitude of luxury vacation houses to choose from in Lahaina, vacationing in Lahaina is a breeze.